Auburn went the whole 109 yards for Big Cat Weekend. 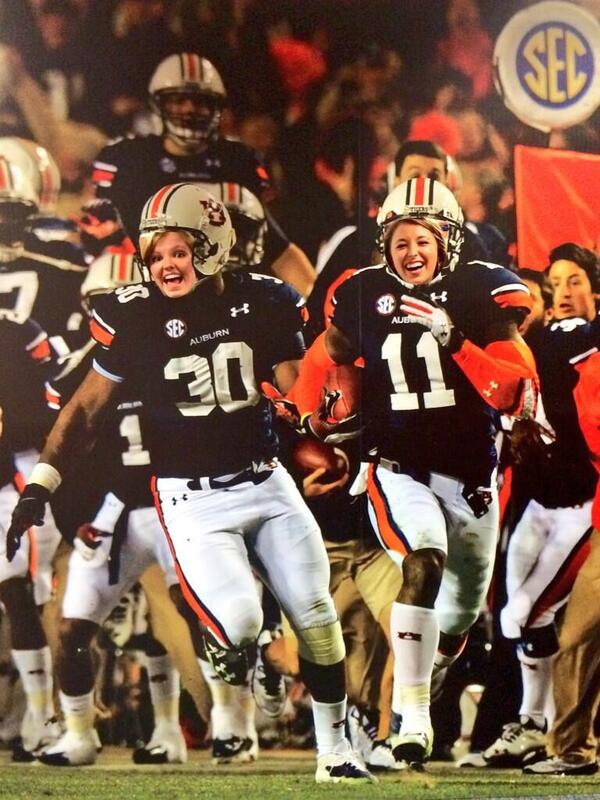 Future Auburn running back superstar Kerryon Johnson, in town for Big Cat Weekend along with dozens of other top Auburn recruits, tweeted a photo taken inside the Auburn locker room Saturday afternoon of what appears to be a giant photo of Chris Davis’ Iron Bowl-winning run, but with the faces of Davis, Robenson Therezie, and you know, old Number 30 for folks to pose for photos in. Here are some young ladies living the dream earlier today. There’s also a photo op with the crystal ball. 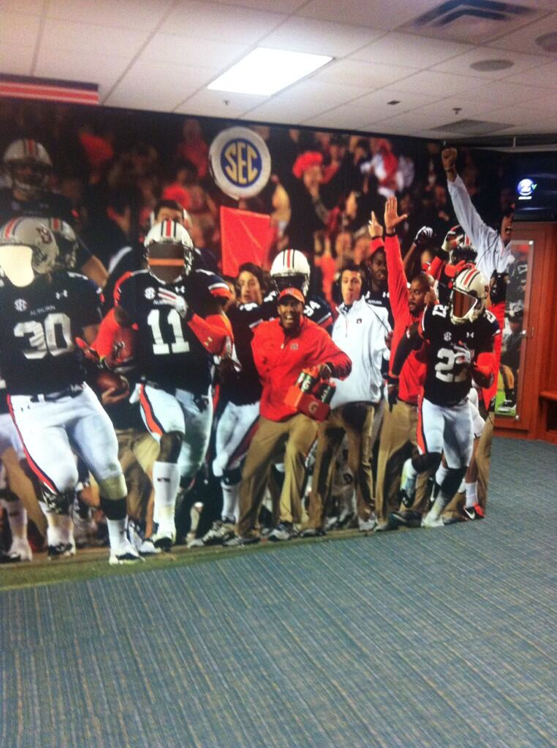 So yeah, what with this, this, and now this, the Athletic Department has basically become an Auburn amusement park. Related: Cremated remains dumped on Pat Dye Field at Jordan-Hare Stadium after the Iron Bowl.